My goal is to put up a 20x32 a-frame. There is some unorganized land around me where I could use unstamped lumber from a lumber mill to build, but parcels are scarce. Does anyone have any experience being involved in a building an a-frame where you had to have a building permit and inspections? Can you share what size/type lumber and spacing was required for the triangles? Particular construction techniques? You are not going to get a lot of answers. A framed are kinda cool looking but that's it. You lose a ton of space the ceiling/walls are coming down on you. There are lots of different plans when you just google it. I personally havent built one but I've worked in some doing renos. I would do a 4 foot knee wall then build your A frame on that. You then have walls to install lower cabinets, walls to put couches, tables up, and beds up against without losing space. Also if your in a heavy snow load area the snow will slide off and have a 4foot height for snow to pile. Running your A frame right close to the ground and with snow it will pile at the bottom and be a ton of weight. Princelake: Although I agree with your comments about the "ceiling/walls coming down on you" in an A frame design it's the floor system that keeps the roof from pushing out at the bottom of the "A". If you have an A frame roof coming down onto a 4' knee wall you're effectively creating a "hinge point" where the roof meets the top of the wall, and the walls could blow out. 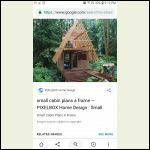 I don't have pictures but the only A-frame I have ever seen that I even halfways liked used short walls inside like Princelake mentioned, BUT the a-frame itself extended down to the concrete pad where the bottom ends of the timber frames were anchored. It is a must to have the bottom ends of the rafters, or sloped wall studs, whatever you want to call them, securely anchored at the lower end. That is what creates the triangle that gives an a-frame its rigidity. As rockies said if the steep roof is attached to actual vertical walls at some low level there is little strength to keep roof and walls aligned. The a-frame I sorta liked used the space between the short vertical walls and the roof structure for storage and for water heater and furnace space. It still looked like a tunnel with only windows at the two end walls but the interior was a little more usable. The upper floor was still like a tent or a tunnel, though. If I was the OP and had my heart set on building an a-frame I would look into what the provincial building code says is needed. My understanding is that even though in an unorganized township there are no local rules and no local inspections, the provincial code still governs what is allowed as far as construction techniques and materials sizes. Kinda hard to reconcile no rules on the one hand with needing to follow other rules on the other hand, but that is what Canadian friends have told me about Ontario. PS, I am acquainted with someone who did build a largish a-frame about 10 years ago. 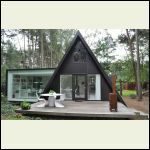 When they decided they needed more space for the growing family the addition they designed and built was a more or less conventional square box attached to the a-frame with a passageway. 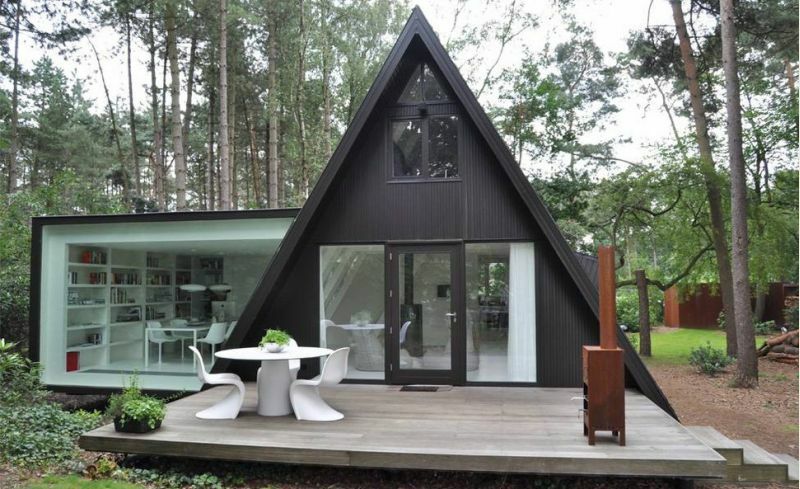 Seems like they found shortcomings with the a-frame. I'd think the a-frame idea over before committing myself if I was the OP. I'd do something like this idea. The only A frame I've ever liked was this one. I like your idea! If you wanted to put a small hip support board twards the bottom you could extend those roof joist even longer and put dry storage there. Maybe depends on how long your sawyer can cut. Metal roof? I like to see the drip line away from the foundation. Looks like you just have a long roof to me. You could also consider digging into a side Hill . Or if you want or are on flat grade, bring in some good draining backfill to support the lower walls ,. If you are going to have a buried septic tank this may help if you have water table issues. This is your dream maybe even family dream. Use common sense and don't let folks make you feel that you can't . My old man told me that there is nothing in this world that you can not do. Own it and have a great time. Your off to a great start !!!!! 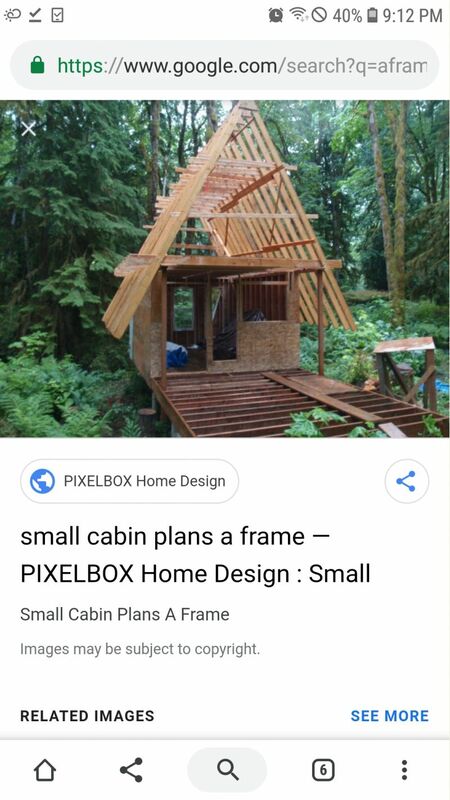 You decided to build a small cabin . And wise enough to ask questions. Every one here has there own way of doing there best to try to help in their own way. Use common sense and don't let folks make you feel that you can't . My old man told me that there is nothing in this world that you can not do. Own it and have a great time. Your off to a great start !! Finally someone speaking some sense!